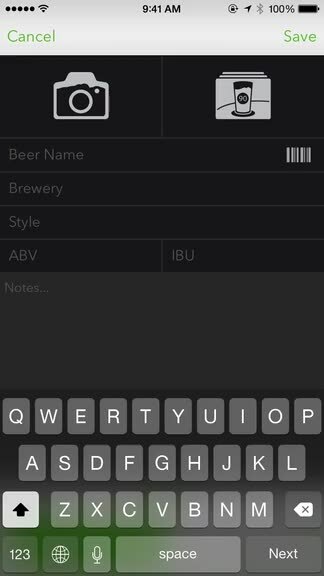 BeerTab ($1.99) by Reactiv Code, Inc. is a slick app for keeping track of your favorite beers. Think of it like Delectable, but instead of wine, it’s beer. I’ll admit, I wasn’t much of a beer drinker until I started trying more brews with my boyfriend. I always preferred mixed drinks or wine, but I’ve been discovering a lot of fantastic beers out there because of him. I am not a frequent drinker, but I do enjoy having one every now and then to kick back with after a long day or while I’m catching up with old friends. I never gave much thought to keeping track of my favorites, as I usually just remember what I liked to get from the store or pub, but that’s about to change with BeerTab. BeerTab sports a sleek interface that I’m in love with. If you’ve followed my writing for a while, you may know that I like simple apps that are not overly complicated for what they do. BeerTab is just that. 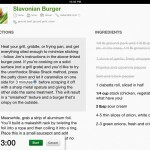 The app has a clean design that is minimal, but still elegant at the same time. I’m a fan of Avenir Next, so seeing it as the chosen typeface brought a smile to my face. The colors are pleasant to look at as well, with a white background and orange for the accents for the default “Oktoberfest” theme. 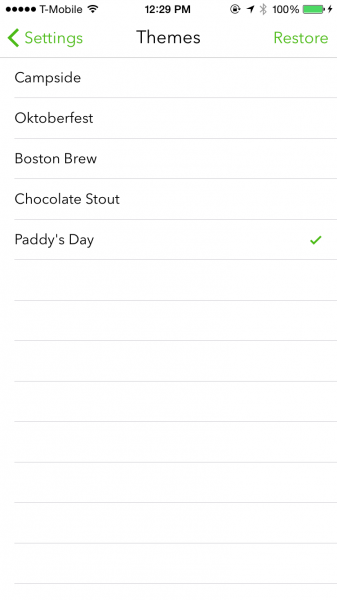 More themes are available in the settings, and include: Campside, Boston Brew, Chocolate Stout, and Paddy’s Day, or you can create and import your own. You start out with an empty app, but it’s easy to understand how to start keeping tabs on your brews. The main screen will be your beer list. 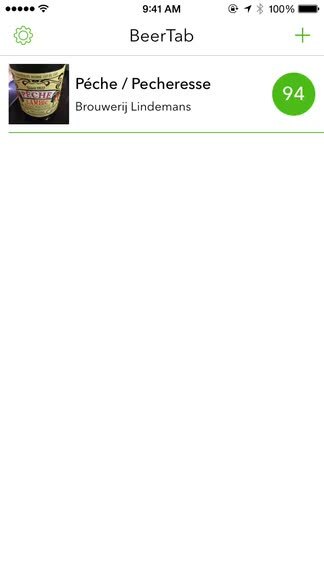 But as this will be empty on the first launch, just tap on the “+” button to add a new one. On this screen, you can use your iPhone camera for a new photo of the beer, or import from your Photo Library. The image is completely optional — it is just there to help you remember visually. A new entry consists of six parts: Beer Name, Brewery, Style, ABV, IBU, and Notes. If you have the beer in front of you, there is the option to scan the barcode and pull all of this information from their database of choice, BreweryDB. It’s rather expansive, so chances are you will find exactly what you’re looking for. If you don’t scan the barcode, you can still enter the information manually. 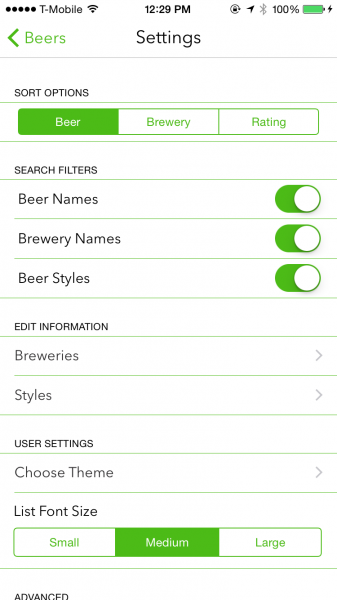 As you fill in the text fields, BeerTab will bring up auto-complete suggestions from BreweryDB, which you can scroll through horizontally as they show up. When you find the one you want to add, just tap on it and the rest of the entry will be filled in for you, including the Notes section. You can tap on any of these to further edit details, including the notes, which can have date and time stamps, and location data. I did have one small problem with the auto-complete suggestions, and that is the fact that sometimes it is picky with scrolling. It seems you need a light touch to it to make it scroll, otherwise, it will just select the name and brewery that your finger is currently on. I would like to see the scrolling through suggestions optimized better in a future update. 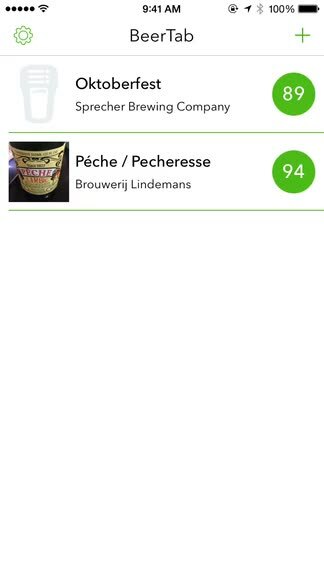 The coolest thing with BeerTab, though, is the rating system. 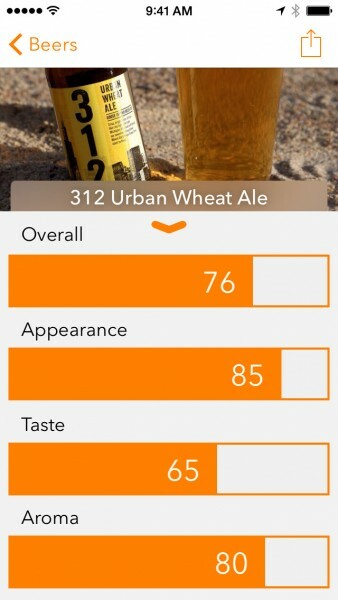 You can rate a beer by appearance, taste, and aroma, and all of these combine and get averaged out to an overall score. You rate them by dragging your finger along the slider, and the three criteria are measured in increments of five. The overall score is determined by your three numbers. 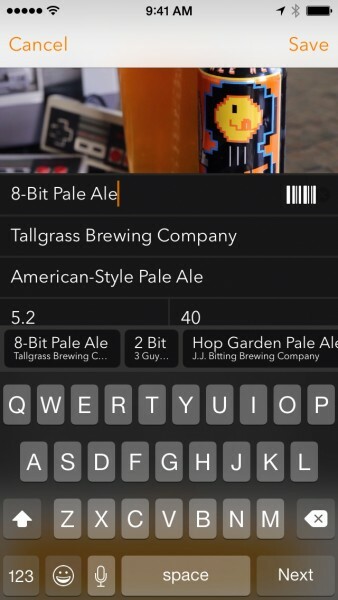 As you begin to accumulate a list of beers, you will easily see the name, brewery, score, and photo in a single glance. Tapping on an entry will bring it up in further detail, and edits can be made by tapping on the pencil icon. 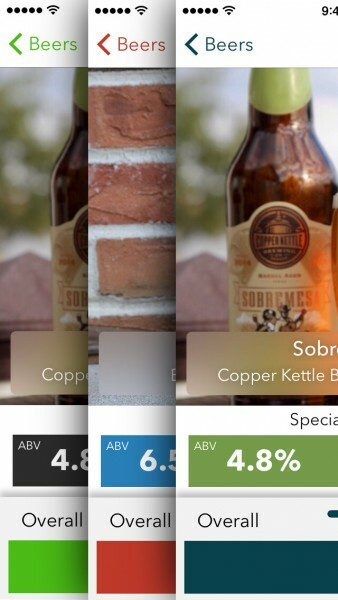 BeerTab makes use of smooth, fluid animations to transition between views, which is a nice touch. 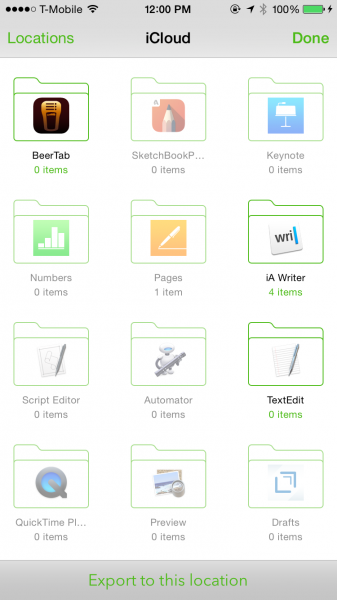 You can share your entries with the iOS 8 Share Sheet. BeerTab has a publishing feature available, which posts your entry on an individual webpage on their servers. Just grab the link and send it with your beer-loving friends and family. To get to the settings in BeerTab, just tap on the cog on the main screen. You can choose to sort by beer, brewery, or rating, whichever is best for your tastes. There are also toggles for search filters, editing information, changing the font size, and switching themes. You can also export all of your data to either iCloud Drive or Dropbox, and import a backup file in case you switch devices. This also includes personal theme files. 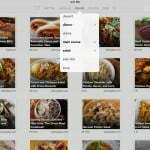 If you are familiar with x-callback-urls, then you can use those to add and search beers from other apps, such as Drafts and Launch Center Pro. 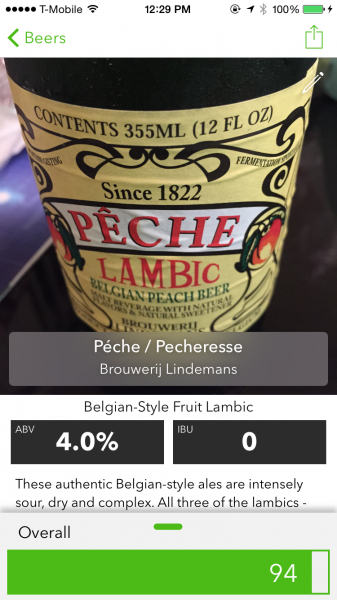 I don’t usually keep track of what I drink, but BeerTab is changing that. 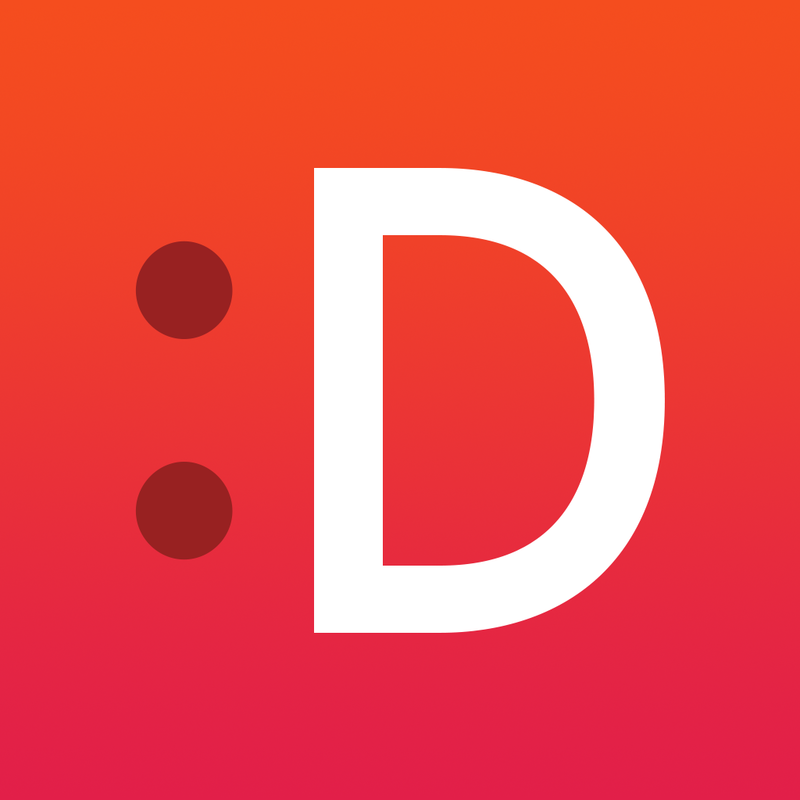 The app dons a beautiful and simple design that is a pleasure to use. The themes make it possible to customize it for your own preferences, and you will have a good chance of finding your brew thanks to the extensive database. Still, the app can be improved with a few small modifications. I would like to see it easier to scroll through the auto-complete suggestions, as it seems a bit finicky for me right now on my iPhone 6. It would also be nice to have the ability to export all of your data as a list, such as a CSV file or the like. That way your data is not trapped in a single app. 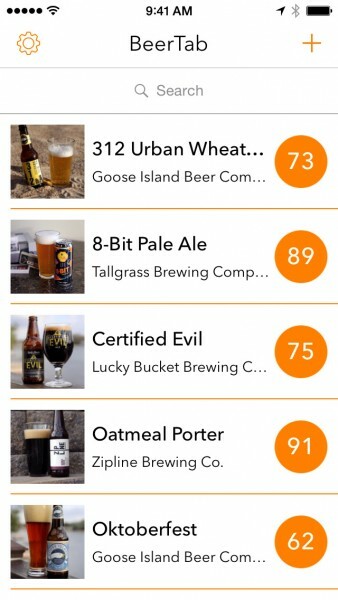 Regardless, I’m enjoying BeerTab for keeping track of my growing beer tastes. 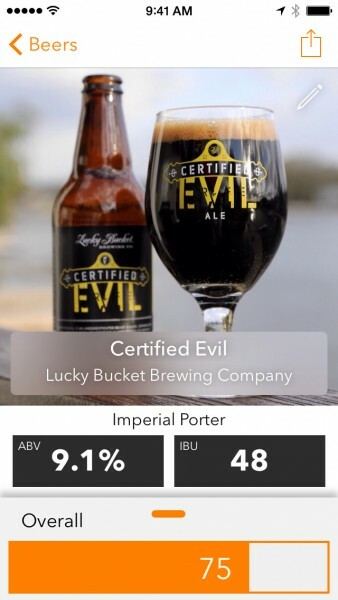 I recommend checking this one out if you are a fan of beers and have always wanted a smooth app for keeping tabs on your favorites. 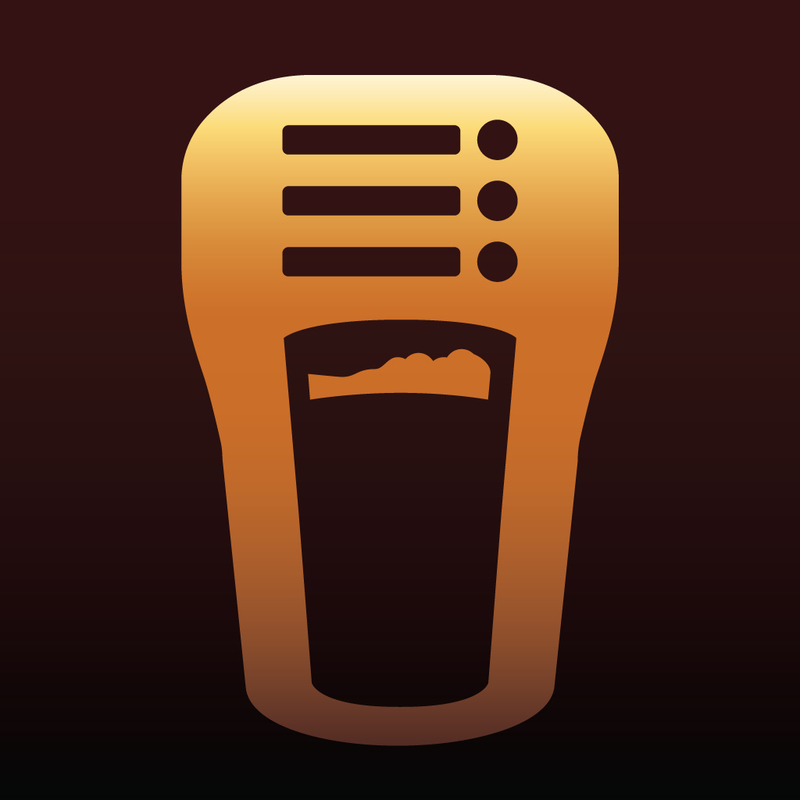 You can get BeerTab on the App Store for the iPhone for $1.99.